One of Japan's largest cities and the biggest settlement on the northern island of Hokkaido, Sapporo was originally home to several native Ainu settlements. The area really began to grow in the 1860s when a village was built around a canal that had been constructed through the area. 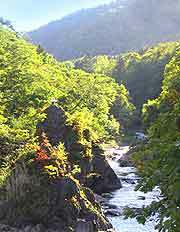 In fact, Sapporo's name comes from the Ainu words 'sat poro pet', which means 'great dry river'. The official recognition of the founding of Sapporo was in 1868, when the Meiji government declared it the capital of Hokkaido, having decided that Hakodate, the then-administrative centre of Hokkaido, was not a good location for defending and developing the island. 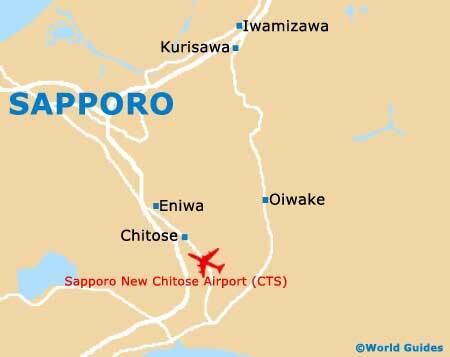 Much of the history of the growth of Sapporo can be attributed to its convenient location on the expansive Ishikari Plain, which offered a vast area of flat land in the otherwise mountainous landscape of Hokkaido. The prosperity of the island, and particularly Sapporo, continued to lure people away from Honshu, Japan's main island directly to the south, as people sought a brighter future in a 'new' land. One of the city's most famous landmarks, the Old Hokkaido Government Building, was constructed in 1888 following the establishment of the Hokkaido Government in 1886. The early years of the 20th century saw Sapporo develop further, both in size and commercially during its history. The Tohoku Imperial University was established in 1907, and both the Hokkaido Imperial University and the Sapporo Street Car (the city's speedy tram network) were introduced in 1918. In 1930, the Municipal Bus System was launched, while the Okadama Airport came into being in the year of 1942, ensuring that the city now had excellent transport links. Towards the very end of WWII, in July of 1945, the city was attacked by approximately 30 bomber planes, dropping almost 900 tonnes of incendiary and fragmentation cluster bombs. The resulting firestorm led to the death of some 200 civilians and caused just under 7,000 injuries, while almost 80,000 people were left homeless. In addition, many buildings were obliterated and roughly 20 percent of the city was left destroyed. It was the most tragic event in the history of Sapporo, but over the next few years, the destroyed areas of the city were steadily reconstructed and redesigned, where necessary. In 1968, a ceremony was held to commemorate the centurion year of the city. Its Memorial Park, which is dominated by the imposing Hyakunen Kinentou (Memorial Tower), was opened in recognition. Sapporo became the fourth Japanese city to introduce a subway system in 1971, as part of its preparations to host the 1972 Winter Olympics - the first Winter Olympics to be held in Asia. Japan also staged Asia's first football World Cup in 2002, with the city being used as the venue for several matches. The Sapporo Dome was completed in 2001, to ensure that the city had a large enough stadium for such an event. The city's importance was highlighted once again in 2008, when the 34th G8 summit was held here. Sapporo is also known internationally for its beer, ramen noodles and Snow Festival (Yuki Matsuri). Held in February each year, the Snow Festival attracts in the region of two million visitors, who come to see spectacular snow statues and ice sculptures, as the city turns into a crystal-like winter wonderland.